Hello again, and thank you for taking an interest in These Hands Remedial Therapy. These Hands is a professionally accredited remedial massage business proudly owned and enthusiastically operated by Tegan Engler. Tegan is 30-something and lives with her FIFO hubby, Justin, and two rottweilers (her fur babies), Ruby & Tyson. Originally from beautiful north-west Queensland, Tegan has lived in Perth now for 10 years and calls SOR suburb, Langford, home. When she isn't busy working, socialising, discovering new music, camping, going to the movies or taking the dogs to the beach, Tegan loves to play netball, do fun runs, explore hiking trails, practice Yoga and die at Crossfit. Tegan is a laidback kinda gal, always happy, bubbly and smiling. She is empathetic, understanding, easy to talk to, and very approachable which makes her treatments all the more enjoyable (maybe not that enjoyable). Tegan has worked with people from all walks of life, from athletes, kids, office workers, tradies, and even soon-to-be-mums. She is very passionate about her work as a soft tissue therapist and the role she has to play in the alternative health industry. 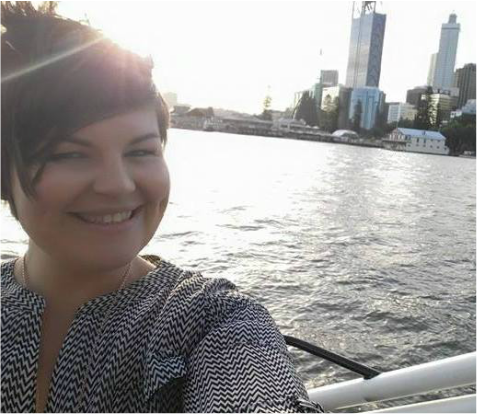 Tegan likes to stay up to date within the massage & myotherapy industry and maintain her standard of practice by frequently attending short courses, researching scientific articles and upskilling. Tegan completed her Diploma in Remedial Massage Therapy in 2010 at the Endeavour College of Natural Health. Her massage and people skills did not go unnoticed and she received an honour award for 'Best in Clinic'. In 2017 Tegan completed the Advanced Diploma of Soft Tissue Therapy and is now a qualified Soft tissue therapist. STT includes the treatment of the nervous system, strength and stretching advice and advanced assessment. Tegan is working every day to implement these new skills in her treatments. 2017 was also when Tegan became a qualified Dry Needling therapist - a treatment similar to acupuncture. Tegan is a member of the Massage & Myotherapy Australia, an organisation committed to ensuring high standards of professional and ethical practices within the massage industry. Tegan aims to always provide the highest level of customer service, individualised treatment plans and friendly advice. Remedial massage treatments are claimable through private health as Tegan has provider status with most major health funds including Medibank, BUPA, HBF, NIB and many more. HICAPS is NOT yet available. Tegan practices from her lovely, comfortable home in Langford. You can book an appointment online via the BOOK NOW buttons or head to the Contacts page. Tegan Engler, owner of These Hands.